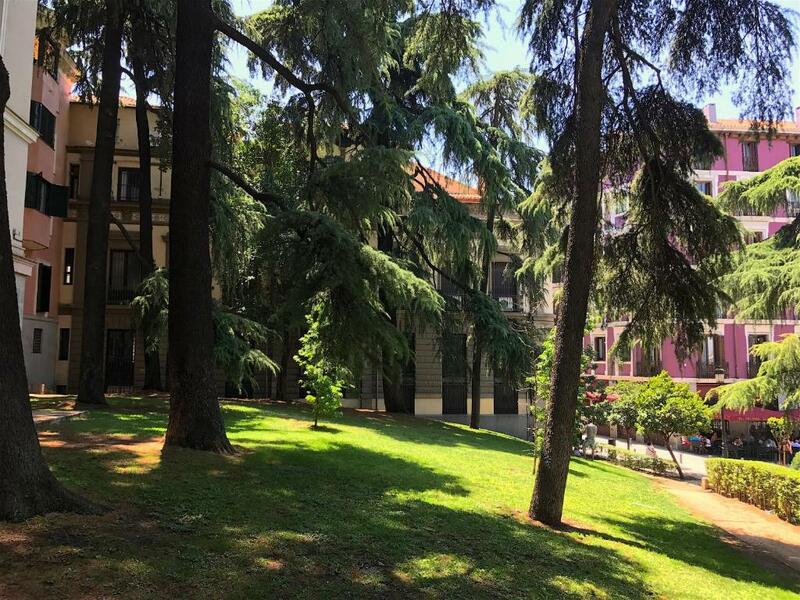 Location is excellent, apartment overlooks cathedral and palace. You are only 400m from the Market San Miguel - Tapas great. We also used the transfer service offered. The driver was waiting for us at arrivals and the Mercedes people carrier spotless. The driver sent us messages before arrival and also before return so no worries. Location was fantastic, there was a washer/dryer unit (which we were not expecting, but were happy to have). We didn't spend a lot of time in the room, but it was clean, comfortable and contemporary. Overall it was an excellent stay and certainly beats any hotel for a self-sufficient traveler, i.e. the one who does not require breakfast, concierge and other hotel services. 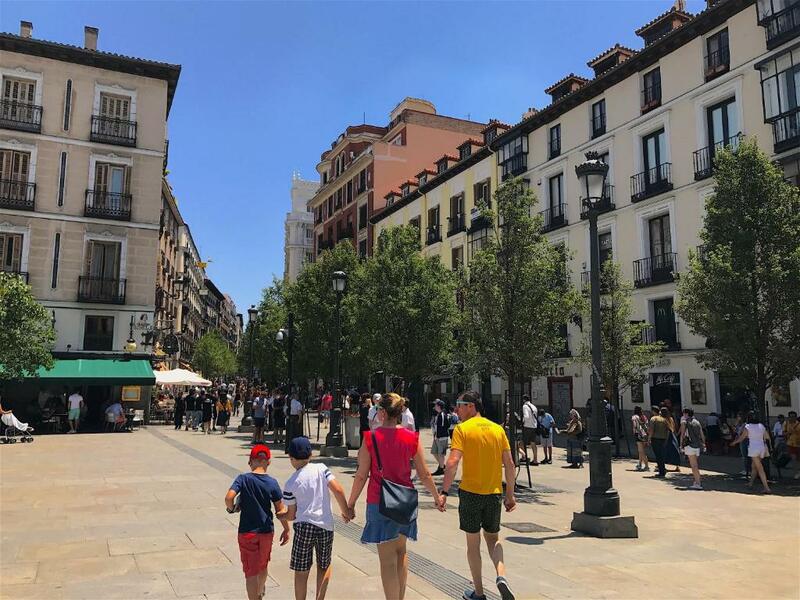 The location is probably the best possible for a tourist in Madrid, close to marvelous parks, vistas, Opera house, historic center. We stayed before near Prado museum but we liked this area near Palacio Real much better as it is more lively. The apartment is in white colors, new and well-equipped (fridge, kitchen) and furnished, the air conditioner is extremely good, allowing to cool the room quickly. The bed is somewhat small (full-size, not even queen) but good quality. Spacious wardrobe. The area is urban quiet, but the place is soundproof. Very safe and secure. We had an outstanding stay and will gladly stay there again. Apartment is in a great location, walkable to many sites! We did not meet the owner in person but it was extremely easy to check in and get our keys from the cleaning lady. We did not communicate much with the owner otherwise but he did help to arrange a taxi to bring us to the airport on the morning of our departure. Great location. 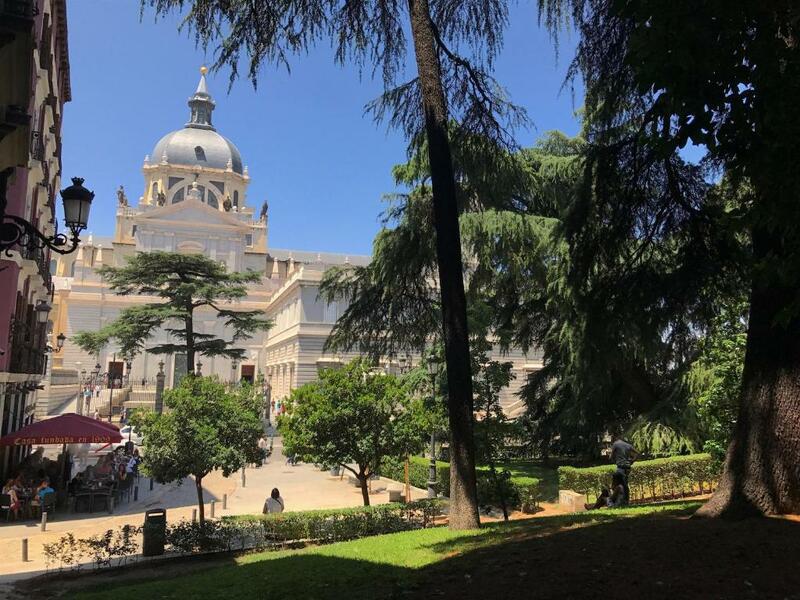 In the center of Madrid, but still quiet. Facilities provided were good. It included a washing machine and dryer which was great. The bedroom is separate from the living room and kitchen. The sofa bed was big and spacious. Location is excellent, walkable to Puerto del sol, plaza mayor and with a view of the palace. Great location, stores and restaurants in a very short walking distance, clean, comfortable. Location is great. 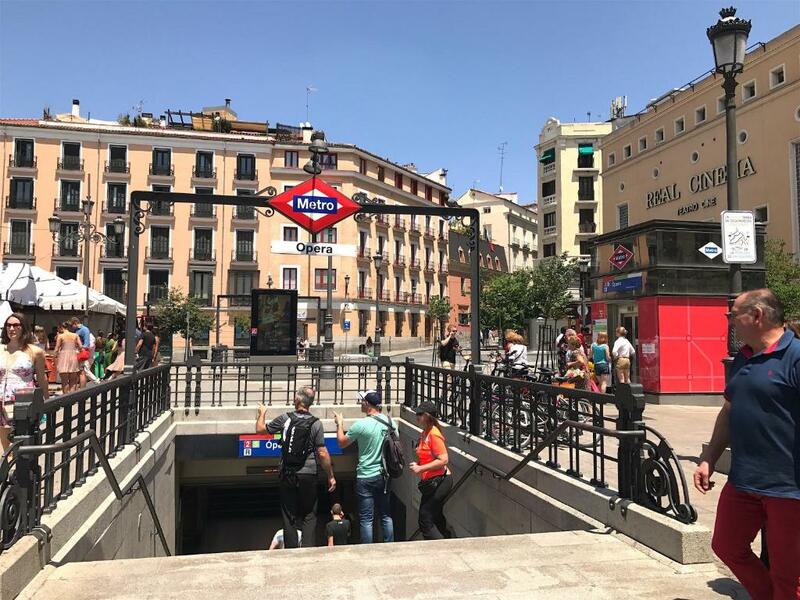 Very close to metro and to Cathedral and palacio Real. Very clean apartment. Great communication with regards to key collection etc. All boxes were generally ticked. V happy with our choice of apartment. 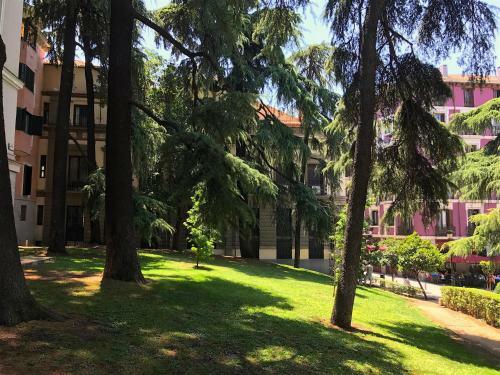 Location perfect to walk to see just about everything ,, Royal Palace right across the street, safe and friendly neighbourhood, close to all underground stations.. Host was honest and keys promptly delivered personally, lovely young chap to deal with.. highly recommended.. really quiet area ,, this owner was a joy to deal with, thank you,,as others on our travels weren’t quite as honest and trustworthy so it was refreshing to deal with someone that honours his word and advertisement.. washing machine and dryer was a bonus.. dishwasher as well..good kitchen, and good supermarket 5 min walk away.. Lock in a great price for Elite Madrid – rated 9.4 by recent guests! One of our best sellers in Madrid! 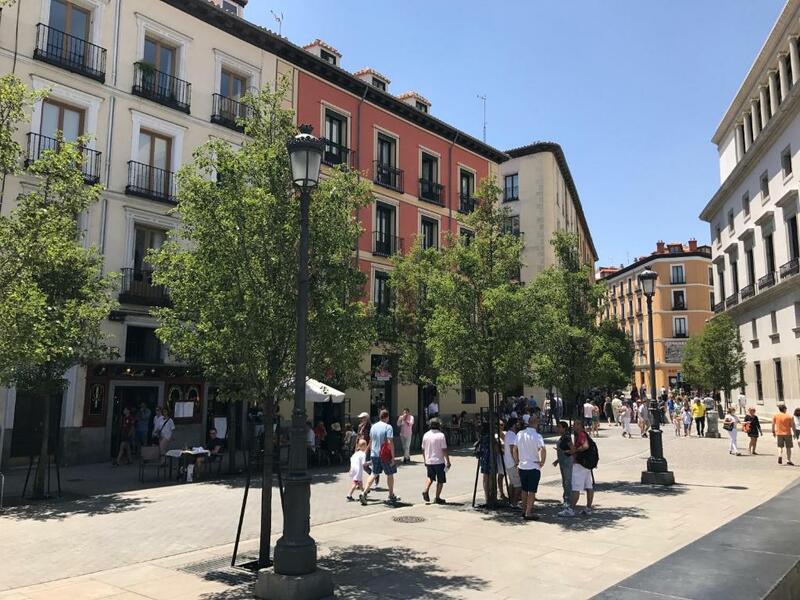 Set within 1,300 feet of Mercado San Miguel and 1,950 feet of Plaza Mayor in the Centro of Madrid, Elite Madrid offers accommodations with a seating area, a flat-screen TV and a kitchen. Complimentary WiFi is featured. All units are fitted with a dishwasher, oven, a coffee machine, a microwave and kettle. There is a private bathroom with shower in all units, along with free toiletries and a hair dryer. Puerta del Sol is less than 0.6 mi from the apartment, while Puerta de Toledo is a 14-minute walk away. 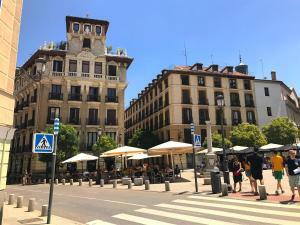 The nearest airport is Adolfo Suarez Madrid-Barajas Airport, 11 mi from Elite Madrid. 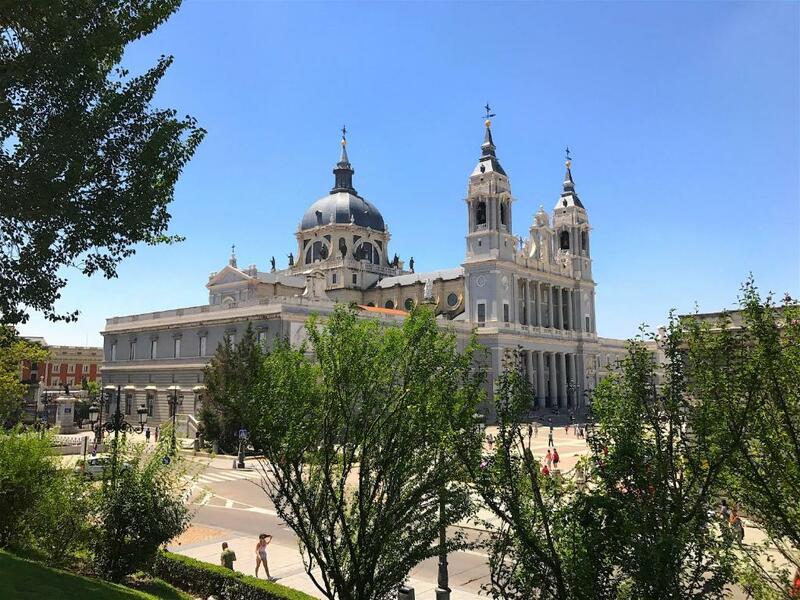 When would you like to stay at Elite Madrid? This apartment has a stovetop, toaster and kitchenware. House Rules Elite Madrid takes special requests – add in the next step! Elite Madrid accepts these cards and reserves the right to temporarily hold an amount prior to arrival. The place needs a colander! The shower was small, it was difficult to give the baby a bath in it. There were no instructions to use the English channel on the TV. The place was missing wine glasses. Shower stall too small. No other issues with the apartment as such. We were told we could book taxi for our journey back to the airport on the day of our departure. We agreed to do the same and confirmed everything via whatsapp and even a phone call confirming time etc. In the morning the taxi failed to turn up. Our phone calls went unattended and we ended up taking Uber to the airport terminal 1 which was cheaper than what we were quoted. So it was bit of stress at the end of our break! The bed in the main room was way to hard and uncomfortable,, both of us didn’t get a lot of sleep because of it.. our teenage son had the sofa bed in lounge room and that was really comfortable,, if bed was softer I’d give this apartment 11/10..shower was unusualy small, my husband isn’t that large and couldn’t hardly fit in this one and water pressure is very low.. There are the only criticisms other than that pretty much perfect. Great location, very central yet very sillent. Clean and spacious. 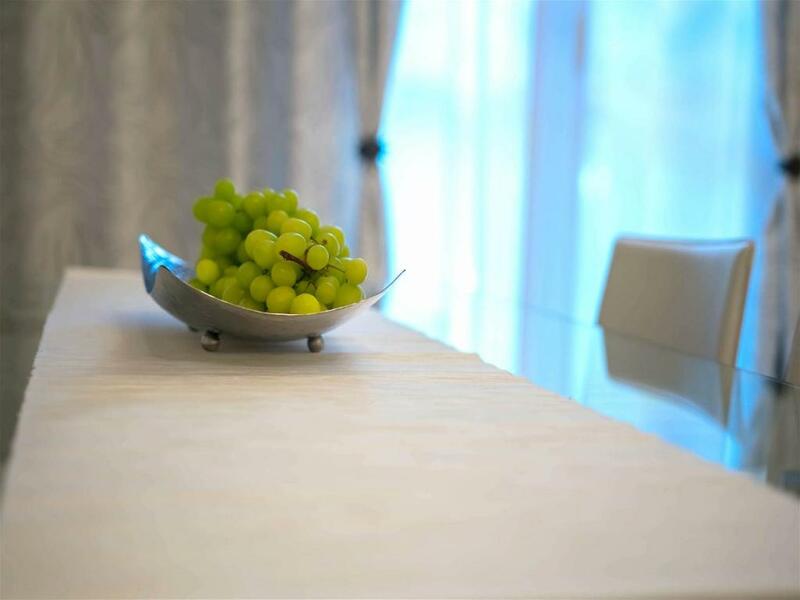 Fresh fruit in the room.